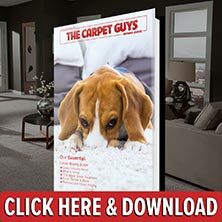 If you have been looking for expert Madison Heights carpet sales & installation services, you have come to the right place. The Carpet Guys are here to take care of all your Madison Heights carpet needs. It is a common fact that finding a trustworthy carpet installer can be difficult. The process of shopping for new carpeting is also pretty stressful itself. That is why we go above and beyond for our customers in attempt to make your new carpet installation as seamless as ever. We are well aware that people have busy schedules. To accommodate this, we have made free in-home estimates and appointments available seven days a week. They are even available in the evenings. We care about the environment we live in, so we provide the availability of green friendly American made products to help protect it. To help customers decorate their home to match the new flooring, we can offer complementary decorating advice for those who are interested. To provide our customers with quality brand name carpeting, we try to offer some of the best deals and prices on the material to make it fair and affordable. Feel free to ask about our next day carpet installation for the products that we have in stock. It may be available. Our installers that we send out are licensed and backed up by thirty years of experience. This professionalism is easily seen in the superior craftsmanship they provide. Let The Carpet Guys take away the stresses and anxieties of carpet shopping away from you. Madison Heights carpet installation has never been better. Choose plush carpeting to add a look of luxury to any room with a formal setting. Plush feels almost like velvet, making it a great and comfortable choice for any room in the home. To give your rooms a cool and casual flair, choose frieze carpeting. This tightly twisted material can provide an interesting personality to any room. For a room that experiences heavy amounts of foot traffic, our durable berber carpet is the perfect fit. This hard wearing carpet can withstand many of life's beatings. To provide a room with a really interesting feel underfoot, give our looped carpeting a try. This material can come in a sought after multi-colored look. For any Madison Height carpet situation, contact The Carpet Guys. We are here and ready to serve you. Take the time to fill out a free in-home estimate to get started on renovating your home today.